One of the American presumptive presidential candidates has been creating a big nationalist fuss about ‘Making America Great Again’. Somehow, according to this interpretation, the country’s just not given the respect it had in the past, perhaps in the 60s and 70s, when the Boomers were growing up, or maybe even going back to 1945 and the end of the Cold War. Maybe it was in some mythical era when the country was the big boy on the block, 1900 perhaps, or 1920. I have some problem with this interpretation of America’s glorious recent or even not-so-recent past. I seem to recall when the Russians got the A-bomb and then the H-bomb that there was a fear-ridden outing of communists and suspected subversives the land. Then Sputnik showed there was a missile gap, followed by the embarrassment of Fidel and Cuban missile crisis. Was the Vietnam War the time when America was great? Maybe when the Iran hostage crisis was followed by the Iran-Contra affair? Maybe it was great under the Clintons, when the USSR was gone and Al-Qaeda had not risen, but no, that suggests that Hillary might just continue the family’s streak of luck. No, it must have been great when George W. landed on that aircraft carrier and said ‘Mission accomplished!’ in Iraq. No, that didn’t work out so well, so far. Maybe it is the grudging realization that, ever since the last moonshot brought pictures of the ‘lonely blue marble’ hanging there in space, the world has begun to intrude on America. The world is made up of 7.4 billion people and less than 5% of these are American, and maybe half of this percentage is black, Latino, Chinese, Arab or whatever. Maybe the country is still the richest of them all, but when 19 out of 20 people in the world are foreigners, it can be bothersome. Everybody wants a piece of the American action. And when a billion people are crossing borders each year and there are over 100,000 air flights each day, isn’t this globalization thing getting out of hand? When America was great, things didn’t get out of hand. Maybe the argument is an economic one. After all, the country has slipped a bit with the rise of China, Mexico and all those sweatshops in South Asia. According to the latest data I found, in 1960, the US accounted for 30.1% of the world GDP (on a constant dollar basis, that is, with inflation taken out) and by 2014, the country had slipped to 25.4%. This means that in 54 years, the rest of the world had caught up at the rate of about 1% per decade. Of course, in 1960, war-torn Europe was barely on its feet and China was about to embark on its ‘Cultural Revolution’, so maybe the 1960 proportions were a bit exaggerated. Even so, this relative decline, if carried forward another 54 years to 2070, implies America by then will have slipped to 20% of world GDP, roughly about twice as large as the Chinese share is today. Hardly problematic, given that the size of the American economy almost tripled in that time –period after 1960. Is this need for ‘greatness’ just a hankering by old boomers for their own youth, projected onto the present? A world where things were simpler — no social media, no ethnic or sexual identity minorities, no spoken Spanish or hajibs in the mall, but with an enemy like the USSR, whom you could relate to, it being a real country with nuclear weapons and not a lot of bearded terrorists causing havoc and death. Not that there aren’t a lot of violent deaths otherwise, but those are just caused by real Americans shooting themselves up. And then there are all those people running around telling industry to clean up its act and worrying about warming and rising oceans, making us sort garbage and slipping metric in on America through pop bottles and foreign imports. People can’t smoke cigarettes any more but marijuana is legal. Back then, there used to be ‘cheap Japanese junk’ in the stores; now it is Chinese or Indonesian or African junk. Japanese stuff is first-class. Our hard drugs used to come from Afghanistan, now there are local labs making really ‘killer’ stuff. None of that was around when the country was great. Finally, there are immigrants. Americans are welcoming people to immigrants, as long as they aren’t too obvious. There were race riots in the 1840s, but those were against the Irish. Then, in the 1850s, the Know-Nothings hated both the Irish and a lot of the incoming Germans because they were Catholic. Some (too many) Chinese and Japanese came into the West. Not good then, OK now. Then there were the Russians and Poles in the early 1900s, a lot of whom were Jews. America put a stop to all that in 1920 and it was not until the end of World War II that a new batch of Europeans, DPs (displaced persons) came in, but not too many. The North had the Great Migration of blacks from the South in the 1950s, which did not go down well at the time. Since then, the size of the migrations was not too noticeable until the 1990s, when illegal Mexicans and others began coming in large numbers. Ten years ago they may have come over the border in the desert Southwest, but that has pretty well stopped. Even so, a ‘Great America’ needs a wall on the border to keep those people out, no matter that today the numbers of illegals that come in by air as tourists and overstay their visas is much larger than the numbers of poor Mexicans wading the Rio Grande. A wall, Israeli-style, is what we need. It is really hard for me to define what this ‘greatness’ is that America has lost. Maybe my imagined list of grievances and lost worlds points to what some of the electorate feels needs to be done to restore it. Don’t worry about the facts. Great people will know greatness when they see it. Facts and Opinions is employee-owned and survives on the honour system: please chip in at least .27 per piece or make a sustaining donation. Details here. Sam (S.S.) McClure was born in 1857, the son of a widow forced to emigrate from northern Ireland to America out of sheer necessity. Her husband’s death in an industrial accident left her bereft and so she took her children and joined relatives living in northern Indiana, where Sam grew up. His was a classic Horatio Alger rags-to-riches story. Coming from an impoverished farm family, he succeeded in getting a wealthy family in Valparaiso, IN, to take him in as a servant while he went to high school. He worked his way through Knox College in western Illinois in much the same way. Moving east after graduation, he managed to parlay his college journalism experience into the editorship of Alexander Pope’s bicycle magazine The Wheelman. Pope was a bicycle manufacturer who used mass publicity to generate the bicycling craze of the 1880s and 1890s. McClure began to do well enough to overcome the parental objections to his marrying his college sweetheart. Soon, however, he received a better offer from New York City, from Century magazine and left Boston. The magazine helped him to strike out on his own, developing a news syndicate that acquired or commissioned stories and columns from different authors and sold them to whatever newspapers and magazines would buy them, including the Century. Eventually, he branched out into his own magazine, named appropriately, McClure’s, just as the country sank into the 1893 depression. Even so, the magazine did well, with McClure using the pieces bought by his syndicate. There were reasons why a low-cost, good quality magazine would sell in that economic climate. During the period from 1890 until the onset of World War I, a number of factors emerged to enable magazines, like commercial catalogs like that of Sears Roebuck, to spread their message across the nation. Postal rates decreased while Rural Free Delivery rapidly expanded the rural market for printed material. New technology, such as high-speed presses and halftone photoengraving were becoming widespread, enabling magazines to produce high quality illustrations on better quality paper at a fraction of their original cost. Near the end of the depression of the 1890s, advertisers were desperate to reach consumers in order to stimulate demand once again, and magazines were seen as a relatively low cost outlet. Their national reach through the mails also meant they could provide better exposure for national brands than could local newspapers. McClure also innovated as his revenues grew by developing an in-house staff of writers and editors, rather than just relying on freelancers. He hoped to acquire a few, highly influential writers who would produce important stories. Sam was not the steady businessman who could make this dream real. Instead, he relied upon a college friend, John Phillips, a relative of the influential Boston pre-Civil War abolitionist, to manage the affairs of McClure’s while he dreamt manic dreams, courted important people and tended to his health by visiting European spas. From 1893 on, McClure assembled the core of his magazine staff. He found Ida Tarbell in Paris. 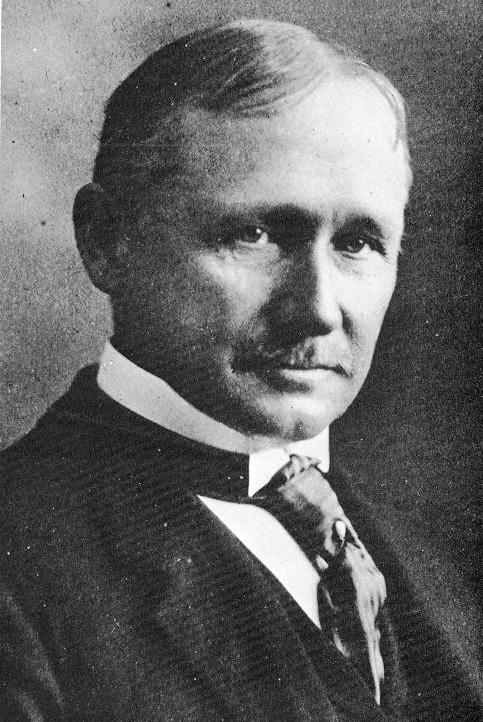 Ray Stannard Baker, a Lansing Mchigan-born reporter with a Chicago newspaper, proposed an article to the magazine which impressed McClure so much he hired Baker. Lincoln Steffens, a California and German-educated reporter for a New York paper was another freelancer who accepted an offer to join the staff. He was the son of a German-American Illinois merchant father who joined a wagon-train to California in 1862 and became one of California’s leading bankers, Finally, there was William Allen White, a son of a Yankee doctor who moved from Ohio’s Western Reserve to Kansas in 1859, as the turbulence of ‘Bloody Kansas’ receded. White did not agree to join McClure’s staff in New York, but acted as the magazine’s voice for rural and farm matters. His connection to the magazine gave him influence far beyond his editorship of the small town newspaper he had bought in Emporia KS in 1895. 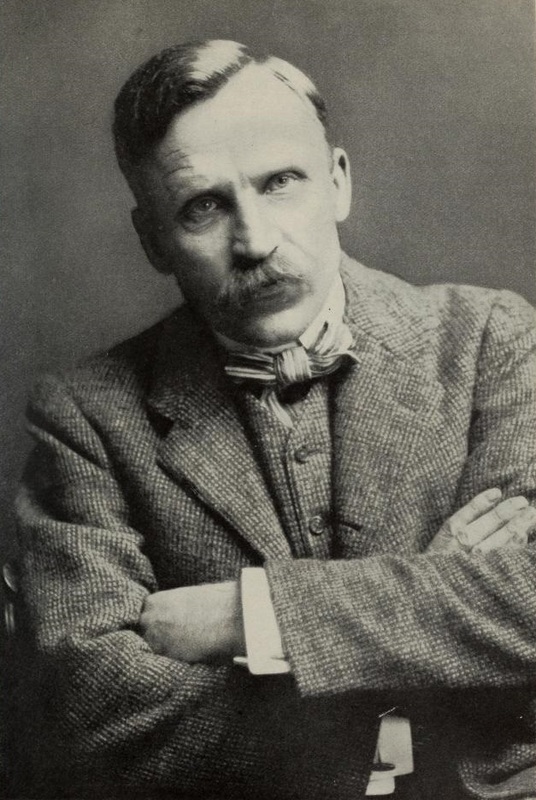 McClure published many serialized novels in his magazine, from writers like Willa Cather, Arthur Conan Doyle and Mark Twain and he adapted the serial format to nonfiction as well. The public seemed to want personal interviews and facts, as opposed to political ‘spin’ He had Ida Tarbell produce a biography of Napoleon for the centenary of his rise to power, and then had her go out and discover new things to say about and by Abraham Lincoln for the 50th anniversary of his election as President. He sent the restless Lincoln Steffens out to look at municipal corruption and Ray Stannard Baker to investigate labor-management relations. Producing their researched and documented reports in regular serialized formats led to increasing sales of the magazine and brought a number of causes to capture people’s attention. Perhaps the high point was reached with the January 1903 issue, which contained three powerful exposés, the first installment of Tarbell’s history of Standard Oil, an installment of Steffens’ research on municipal corruption, featuring the Mayor of Minneapolis, and Baker’s article on labor union problems. Yet, McClure grew restless and began to back away from more than intermittent involvement with the magazine. Erratic behavior led to his staff resigning in 1906 and, with Phillips at its head, starting a new publication, The American Magazine. As well, the era of muckraking journalism had begun to wane, until the psychological demands placed by the outbreak of World War I began to preoccupy the American public over domestic issues. McClure tried to resurrect his magazine after the War, but American tastes had changed and his effort failed in short order. Prohibition of alcohol in the 1920s was, in itself, enough to make a sizeable number of Americans more tolerant of wrongdoing, while the continued growth of large companies and the corrupt political behavior related to Teapot Dome suggested that the muckraking effort may not have produced much of a lasting effect. When President Theodore Roosevelt coined the term ‘muckraking’ in 1906 to refer to the stream of exposés of political corruption, consumer fraud, the use of monopoly power and price rigging that characterized journalism in the late 1890s and 1900s, he was ascribing the image of the ’muck-raker’ in John Bunyan’s The Pilgrim’s Progress to the tenor of the time. In the novel, the man who is turning over the barnyard muck is so focused on his task that he has no time to look up and see the glories of Heaven. The President’s jibe was aimed at a particular editor who was a constant critic of his policies, but soon became a catch-all term for everyone who was exposing organized wrongdoing. The term was meant to distinguish between the normal reporting of news events and the lengthier, research-intensive discussion of broad topics that might otherwise see the light of day. While generally such a function may use the tools of research and the forms of non-fiction writing, there have always been those who have couched underlying problems and evils in a fictional format. One could describe Harriet Beecher Stowe’s Uncle Tom’s Cabin, which had a great impact on pre-Civil War America, or Edward Bellamy’s Looking Backward, which appeared in the 1880s, a decade of labor strife, as examples of muckraking in a fictional style. Clearly, the work of Ida Tarbell, Ray Stannard Baker and Lincoln Steffens in McClure’s, along with the reportage of Nellie Bly from inside the insane asylums of New York and Upton Sinclair’s reportage about the meatpacking industry are Progressive era examples of the nonfiction variety. The public interest in muckraking seems to wax and wane over time; there is always an undertone, perhaps expressed best by I F Stone’s Weekly in the 1950s and 60s and Ralph Nader’s research on auto quality and safety. Recent examples are in the claims of both the Tea Party movement and the Occupy Wall Street movement. At some point public interest in scandalous practices rises above this undertone and becomes fashionable once again. Today, much of the muckraking activity is relegated to some television shows and to some blogsites. But the cycle will turn again. Jim McNiven’s new book is The Yankee Road: Tracing the Journey of the New England Tribe that created Modern America. Goddard went through Worcester Polytechnic as a physics major and in 1907, still an undergraduate, had a paper on airplane stability published in Scientific American. 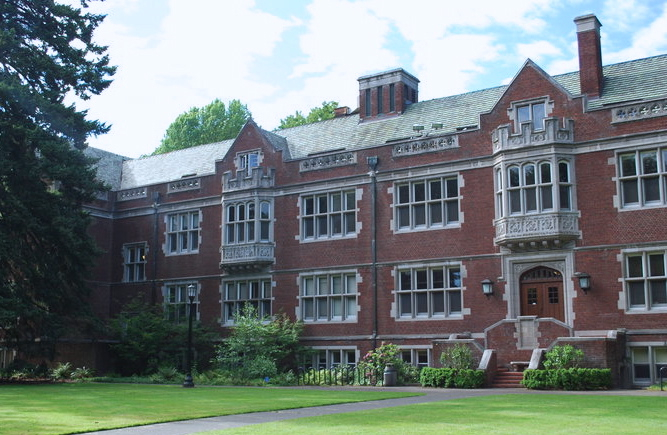 He graduated in 1908, and entered Clark University, also in Worcester, to do graduate work. He was bright and disciplined, completing his MA in 1910 and his PhD in 1911. He took a position at Clark as a physics instructor, and began a productive career that combined academic research with practical inventions. He patented concepts for a multistage rocket and a liquid-fueled rocket motor. In 1916, his second year at Clark, he got a grant from the Smithsonian Institution to undertake rocket research, and also developed the basic ideas for an antitank weapon known as the bazooka. He acquired a reputation for applying physics to various problems, accumulating hundreds of patents over his lifetime. In 1919, the Smithsonian published his landmark work, On Reaching Extreme Altitudes, which had an effect on those interested in the subject elsewhere. Hermann Oberth, the father of German rocketry, referenced Goddard’s work in his own 1923 book, By Rockets into Interplanetary Space. In turn, Oberth influenced Russians such as Konstantin Tsiolkovski. The US domestic press, however, had a field day making fun of Goddard’s work, claiming he did not understand basic physics. 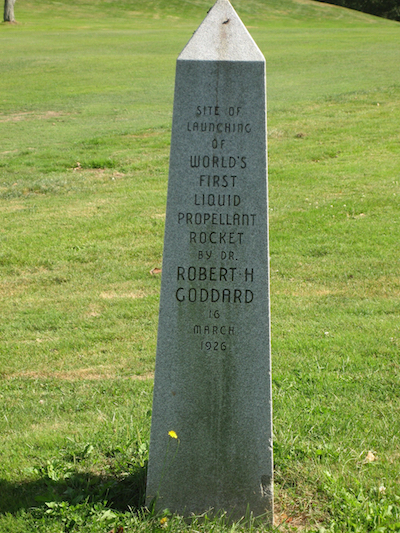 Throughout the 1920s, Goddard worked on his engine and launched his liquid-fueled rockets on test flights, the first in 1926 from a site on his aunt’s farm in Auburn, south of Worcester, and now a historic landmark. My wife and I had fun finding it: GPS and electronic maps showed it to be in the middle of a suburb, but it’s a four-foot obelisk at the dogleg of the ninth hole of the Pakachoag Golf Course. There was no landmark at all until Werner von Braun spoke in Worcester in 1957 and asked Goddard’s widow to show him the site. Upset that there was no recognition, von Braun lobbied Washington, but only got this modest and ignored marker. By 1929, Goddard’s work had come to the attention of Charles Lindbergh. He put Goddard in touch with the Guggenheim Foundation, which became heavy supporters of his experiments, helping him to continue his work at a research facility in Roswell, New Mexico, throughout the 1930s. Roswell, you might remember, decades later gained fame as a popular UFO tourist site. Goddard spent the war years helping the military on other things. There was little American interest in rocketry until German guided bombs began to hit Allied warships off Italy in 1943 and V-2 rockets began to rain down on Britain in 1944. The Germans, prohibited by the Versailles Treaty of 1919 from developing a specific list of weapons, had turned to rocketry because it was not on the proscribed list. Goddard died in 1945 and his contribution to rocketry was neglected in the United States in favor of the captured German team led by von Braun. When the Russians put a satellite called Sputnik into orbit in 1957, its implications soon became obvious: if a rocket was powerful enough to launch a satellite, then one with a nuclear warhead could be fired at America. Though the main aim of the “space race” in the 1960s was to build better nuclear-tipped missiles, President John F. Kennedy also used the effort to inspire Americans by promising to put a man on the moon. Goddard was posthumously recognized for his pioneering work in rocketry, when one of NASA’s space flight facilities was named after him. 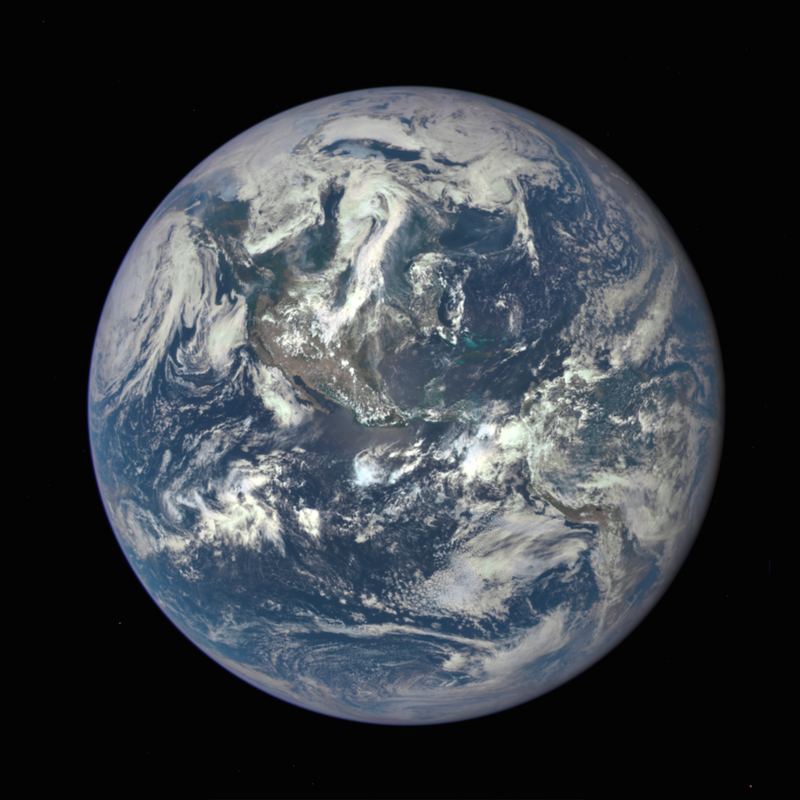 Forty-three years on, we are still learning, slowly it seems, to appreciate the symbolism of the big, blue marble. Facts and Opinions is a boutique journal, of reporting and analysis in words and images, without borders. Independent, non-partisan and employee-owned, F&O is funded by you, our readers. We do not carry advertising or “branded content,” or solicit donations from foundations or causes. Support us with a subscription (click here for our subscribe page) or a donation: Email editor AT factsandopinions.com to inquire about republishing F&O’s original content. There has already been one technical default, by Argentina, but it is an outlier and not contagious. Argentina defaulted a decade and more ago and its creditors eventually agreed to settle for 33 cents on the dollar. A hedge fund bought up some of the original debt at something like this discount, but has been successfully suing Argentina in U.S. courts to pay the hedge fund in full for its portion. Needless to say, the other creditors are not happy. They lose 67% and the hedge fund makes a killing. Argentina says it won’t pay the agreed-upon 33 cents until the hedge fund back down, so it is in default again. Ouch. What I am focused on are other situations that could seriously rattle the international financial system. The first is a real dilly. Globally, there is something like $3 trillion (with a T) in loans outstanding that are denominated in U.S. dollars. What this means is that the loan was made in, or to, country X, payable in U.S. dollars by someone who had them. The loan proceeds were then converted into the local currency and invested or spent by that country. Such a loan is also repayable in U.S. dollars, but the U.S. dollar began to rise as the U.S. Federal Reserve Bank began to taper down its money-creating stimulus program. The dollar’s rise, relative to other currencies, was due also to the unexpected boost to the US balance of trade by the sudden increase in domestic oil production. In a short time, the U.S. purchases of foreign oil declined significantly. Consider these changes. The Canadian dollar dropped from U.S.$1.02 in September 2012 to U.S.$0.79 in January 2015, a 20% decline in less than 2.5 years. Someone in Canada borrowing a million U.S.$ in September 2012 could have exchanged it for $1.02 million Canadian right away, but would owe, ignoring interest and some repayment, $1.264 million Canadian in January 2015. This is an extra quarter of a million dollars in local currency that the borrower would have to find, simply because of the relative strength of the U.S. dollar. The same repayment over the same months would cause the Japanese borrower to have to come up with 53% more yen, an Indonesian with 15% more rupiahs and a German with 14% more euros. You get the picture. What if the borrower’s plans did not work out and she can’t pay? What if a lot of borrowers can’t pay? There’s U.S.$ 3 trillion out there, a lot of it picked up from the Fed’s stimulus and shipped overseas to eager borrowers. The Argentinian case mentioned above is mere peanuts next to this. A second problem is somewhat related to the American stimulus program. The Japanese government debt is the largest relative to the size of the economy (GDP) in the developed world. In order to, hopefully, stimulate the Japanese economy, the central bank is buying back a lot of this debt by just printing money — lots of it. The yen has dropped in value outside Japan, because there is so much yen floating around, but foreign holders are not screaming because 95% of the government bonds are held by the Japanese themselves. All that has happened is that imports have become a lot more expensive. And Japan imports almost everything. The crash in oil prices has masked the looming import problem, but sooner or later, it will bite. Exporters are ok, because their workers have all taken a foreign-exchange ‘pay cut’. For the average Japanese, this makes life harder. For the large numbers of retirees, this is a real blow. The pension system is not that great and Japan has the oldest population in the world, besides maybe the Russians. Can the Japanese succeed at a cheap currency problem? Well, if so, then why doesn’t everyone else play the same game of competitive devaluation? Contagion, anyone? Then there are the interlinked problems of over-borrowing and austerity. The ratio of debt to GDP in most of the developed world is large. As long as these countries can make their payments on this debt, all is well, maybe. The problem is that making payments on the debt crowds out other demands that the society has. This shrinking of program spending is called austerity and it is not a popular thing for governments to foist on their populations. The Greeks, for instance are in this mess. The bondholders, especially in Germany, want to be paid. The Greek society is riddled with ways to avoid tax payments, so that the EU has insisted that if the Greeks want to continue to be in the Euro zone, they have to tighten up their collection systems and pass along more money. If they do that, then they are taking more money from their citizens and giving nothing but the vague satisfaction of having paid something on their debt. That’s a formula for political disaster. If they don’t do this, then the Greeks may have to leave the Eurozone and maybe the EU entirely, so they can create the new drachma, a basically worthless currency, and stiff their bondholders. How would this go down in the rest of the Eurozone countries where there are high public debt levels, you ask? Well, that’s contagion. Finally, where does all the money come from that the lenders have available to lend? Thomas Piketty recently wrote a book, Capital, where he suggests that wealth grows by continuous positive returns on the investment of that wealth. Just keep getting a guaranteed 5% real (after inflation) return on your million dollars plus of capital and it will grow and grow, if you’re careful. If this is threatened, you turn to the bankers and the politicians to protect your money. Maybe you hide a lot of it in some offshore accounts, where wealth managers and hedge funds get you your return. You could buy apartments in New York City or Toronto or London — any place where the property market is hot. Of course, government bonds are safe, maybe, or at least you can get a high rate of return on some of the shaky ones and hope you can get out just before they crash. Whatever the approach, you will be a bit paranoid if you find that the bonds you own may lose their value, thus threatening your capital. It’s a tough world out there….and the herd instinct to all run in the same direction is strong….and that’s contagion. Dr. McNiven has a PhD from the University of Michigan. He has written widely on public policy and economic development issues and is the co-author of three books. His most recent research has been about the relationship of demographic changes to Canadian regional economic development. He also has an interest in American business history and continues to teach at Dalhousie on a part-time basis. 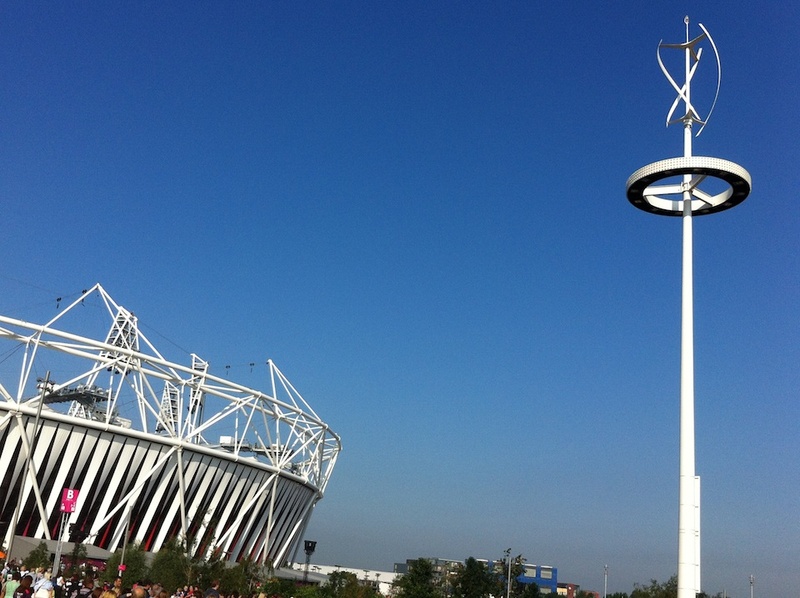 An image of a vertical-axis wind turbine installed outside London’s Olympic Stadium, a figurative illustration of the monumentality of the international pursuit of alternatives to fossil-fuel energy. Attempts have been made since 1859 to control the price of oil — or, rather, the price of its refined product, be that kerosene for lighting or, later, gasoline for autos. The first one to try was John D Rockefeller with his development of the Standard Oil Trust in the 1860s and beyond. OPEC, or the Organization of Petroleum Exporting Countries, is the latest attempt, dating back to the 1960s, and is based on the export of oil by the global low-cost producers, in particular Saudi Arabia. In effect the Saudis, as price leaders, try to keep the price stable by varying their own production and pricing, so as to discourage its partners from overproduction or short-term greed. Generally, when prices are high their cheating is rampant, and when prices are low their cheating is rampant. Well, here we go again. The price of oil is going down, dragging with it all kinds of nasties and pleasantries. (This was eminently predictable: only the timing was mysterious.) Let’s look at some of them. First we have the prophets of ‘peak oil,’ who keep predicting the imminent decline of supply and the rocketing upwards of price as an oil-dependent world fights over who will drive and who will walk. The reality is that the real, or non-inflationary, price of every natural resource commodity you can think of, including oil, has declined over the past 200 years and seems to keep declining. Yes, there are price bubbles, but they pop sooner or later. If the price gets too high, then it pays someone to go out and find the next most expensive ore bed or oil pocket and exploit it. The price bubble lasts about as long as it takes for a lot of new supply to come on stream. The bubble pops, the price goes down, and the marginal suppliers shut down until needed. Then the cycle repeats itself. Oil prices today are also starting to be affected by the oversupply of conventionally-produced electricity due to price declines for solar and wind power. A combination of government-mandated or subsidized shifts from coal and oil-powered generation, plus greater price efficiencies in alternatives, are cutting into the oil market. Auto efficiencies, such as mandated greater average mileage per unit of fuel and gasoline-electric hybrids, are also having an effect. These do not constitute a big cut, but every time world oil prices shift upwards, alternatives take a bigger nibble out of the oil market. One of the big nasties from any price drop has to do with places that derive most or all of their public revenues from the sale of oil. The budgets of countries like Venezuela or Iran are almost completely dependent on oil sales for their government revenues. Further, the price bubble since 2009 has left them dependent on a high price to cover rising public expenditures used to buy off political dissent.3 Saudi Arabia can tap into savings, or borrow, but consider the problems faced by higher-cost producers like Venezuela, racked by internal dissent, or Iran or Russia, subject to all sorts of financial restrictions. When the price drops, such countries can do a number of things: they can borrow, if their credit is good, or they can cut expenditures, though many of these countries subsidize consumer energy expenditures, cutting thus being a sure formula for unrest, or they can produce more, cheat on OPEC and keep the game going in the short run. Of course, this last option can’t work forever and it will just drive the price of oil lower overall. Generally, countries with domestic unrest will either concentrate on keeping the lid on through repression or they will go off on some international adventure to mask the problem with some nationalist fervor. Take your choice. Other losers in a low-price oil market are the environmentally-friendly alternatives. The instability in oil prices over the past 30 years has meant that companies providing alternative energy have difficulty acquiring long-term financing for research and for product sales, precisely because the time horizons between price peaks or slumps is too short for potential investors’ comfort. In countries where there is little or no oil production, some pleasantries do happen. The price of fuel goes down and this acts as a pay raise for their people, rich and poor. A lower oil price has effects throughout the consumer economy as producers and final consumers save money. In a large country like Canada this can have differential effects. Revenues in oil-producing Alberta will drop, while Ontario’s manufacturing economy will get a boost. Exploration and development may slow in the West and offshore. Further, the Canadian dollar drops as the value of Canada’s oil exports drop, helping other, perhaps manufacturing-based, exports. The drop in the dollar acts as a kind of a relative pay cut for workers and a price rise for anyone who consumes imports. In the U.S., Texas’ economy may be hit while New York’s may get a boost — but the balance is complicated by the recent massive production of oil from American shale which means that America is expected, for the first time in about a century, to become oil self-sufficient, or even a net exporter. That would result in a continual boost in the value of the American dollar, so the benefit to states without oil would be offset by the stronger dollar. China and other overseas manufacturers may find this a blessing. It’s probably that an oil price below $80 per barrel will last for years, and change the nature of international politics. This column is largely adapted from a chapter in a forthcoming book. 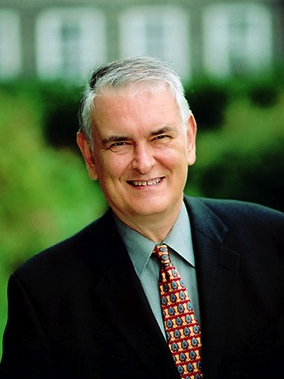 James D. McNiven, author of the Thoughtlines column, is Professor Emeritus at Dalhousie University in Halifax, Canada, and Senior Policy Research Advisor with Canmac Economics Ltd. He was the Fulbright Research Professor at Michigan State University’s Canadian Studies Center in 2010-11. Facts and Opinions is an online journal of select and first-rate reporting and analysis, in words and images: a boutique of slow journalism, without borders. Independent, non-partisan and employee-owned, F&O performs journalism for citizens, funded entirely by readers. We do not carry advertising or solicit donations from foundations or causes. We appreciate your support: a day pass is $1 and subscriptions start at $2.95 per month. 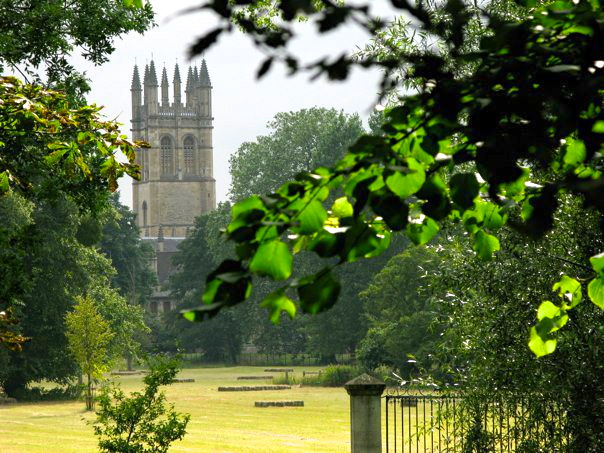 Here is Jim McNiven’s column page, including the series, The Future of the Global University System. This application of research and science to human work behaviour is so much a part of our lives that we hardly notice it today. It has led to a system that produces and distributes more goods and services to everyone than has ever been seen before. Without Taylor’s application of experimental research to the problems of production in the late 1800s, Henry Ford could not have created his version of the assembly line, Ray Croc could not have developed McDonald’s systems, Ray Walton could not have developed Wal-Mart’s logistics — and so on. Jim McNiven’s columns are available to monthly subscribers or with a $1 site-wide day pass to Facts and Opinions. Independent, non-partisan and employee-owned, F&O performs journalism for citizens, funded entirely by readers. We do not carry advertising or solicit donations from non-journalism foundations or causes.